Devil’s Lake State Park is one of the most highly visited and cherished public properties in Wisconsin, with more than 2.5 million annual visitors who come from across the country to experience beautiful landscapes, unique geologic features, and outstanding recreation opportunities, including 15 hiking trails, segments of the Ice Age National Scenic Trail, rock climbing opportunities on exposed quartzite, and paddling on Devil’s Lake. In addition to its stunning views and outdoor recreation opportunities, Devil’s Lake protects some of Wisconsin’s best remaining examples of unique natural communities, provides habitat for rare wildlife and plant species, and features unique geological formations – its natural features are of local, regional, and even national conservation significance. 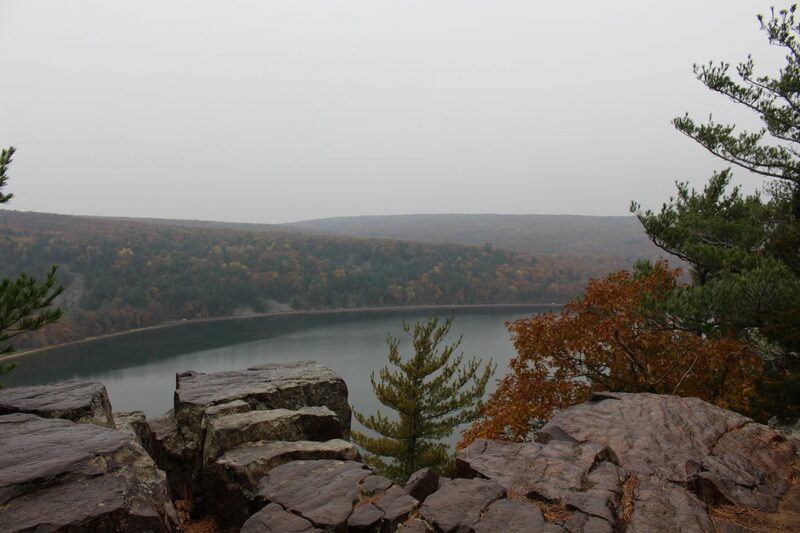 The Natural Resources Foundation received a grant from REI Madison in 2018 to conduct restoration activities including prescribed burning and invasive species eradication to ensure that the East Bluff State Natural Area – found on the southeastern side of Devil’s Lake State Park – is healthy and protected, ensuring that current and future park visitors have the opportunity to explore and experience Wisconsin’s natural communities and native wildlife and plant species. 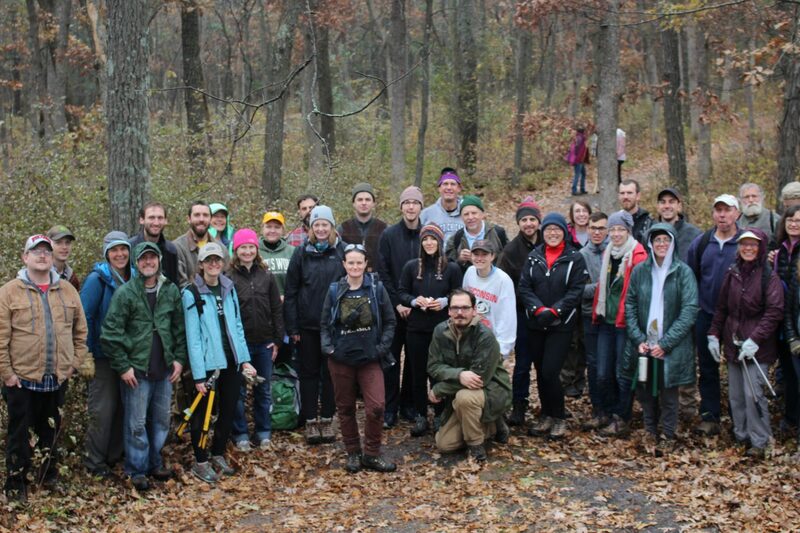 Funding from REI was used in partnership with the Wisconsin Department of Natural Resources Bureau of Natural Heritage Conservation, which completed critical restoration activities throughout 2018, with the goal of eradicating harmful invasive species, and promoting the growth of native plants, thus improving native southern Wisconsin natural communities like talus slopes, dry prairie, bedrock glade, open oak woodland, and closed canopy southern hardwood forest, and providing the necessary habitat for the many wildlife species that call Devil’s Lake home. This work included invasive garlic mustard, oriental bittersweet, and buckthorn removal, improvement of oak woodlands by thinning out non-desirable species, and prescribed burning throughout East Bluff State Natural Area, the segment of the park which encompasses the most highly visited hiking trails and rock climbing areas within the park. 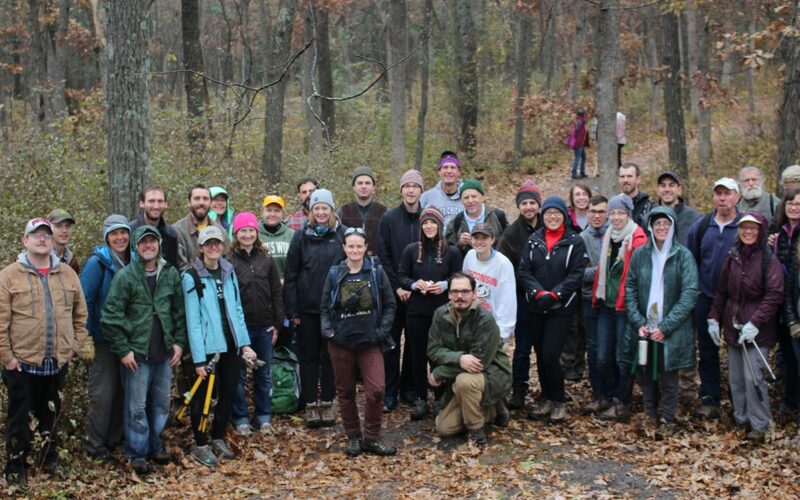 We also partnered with REI and DNR on a volunteer workday, recruiting nearly 50 volunteers who spent a chilly fall morning with us removing invasive buckthorn, while volunteers from the Wisconsin Climber’s Association pitched in during a visit to the park. Volunteers from the Wisconsin Climbers Association admire the spring flowers after vanquishing garlic mustard. Photo by Bridget Rathman. Volunteers pose for a group photo. Photo by Nora Simmons. IMPACT. This project directly enhanced and restored nearly 100 acres of native Wisconsin landscapes, improving the health and quality of natural communities ranging from dry prairie to southern forest, and increasing the habitat available for multiple state, regional, and globally threatened animal and plant species ranging from peregrine falcons to the federally endangered rusty-patched bumble bee (Wisconsin’s newest endangered species). 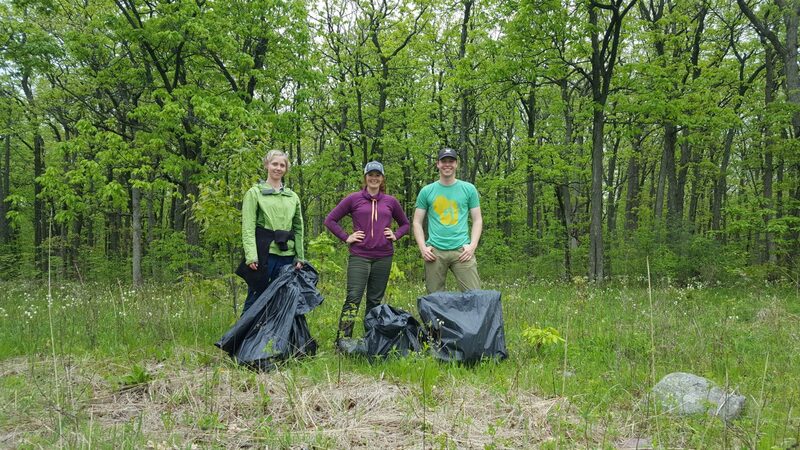 A key outcome of this work is the restoration of healthy native habitat alongside highly used trails, by removing destructive invasive species and encouraging the growth of native plants. 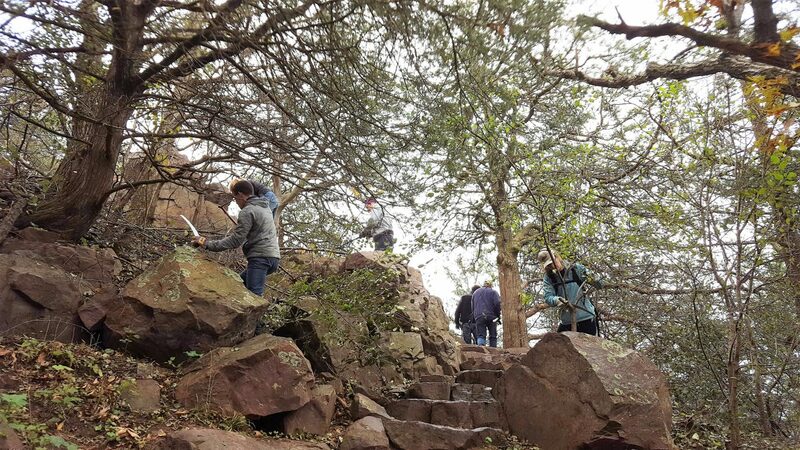 These land management activities are key to preserving the natural environments found at Devil’s Lake State Park and in turn conserving the species found here, ensuring that park visitors can continue to experience these beautiful natural wonders found just a short drive from Madison. By helping to preserve the health and integrity of the beautiful natural features found here, we can ensure that future generations have the opportunity to learn and explore in Devil’s Lake State Park. 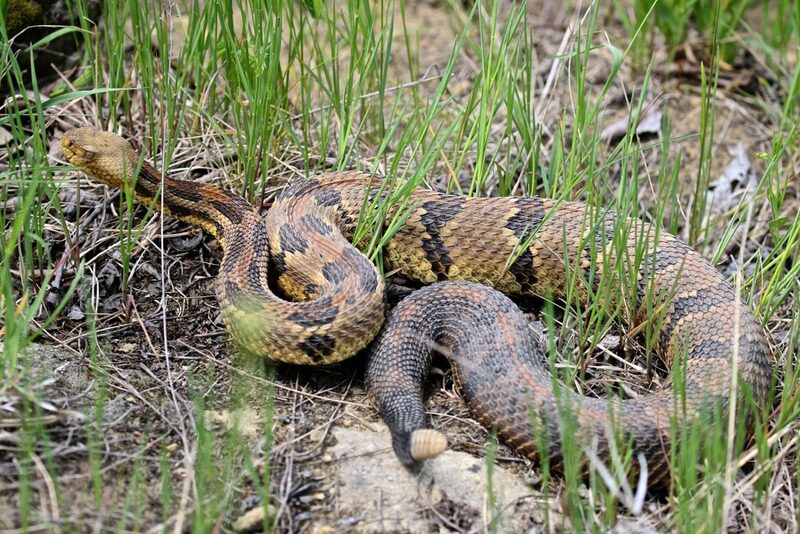 The restoration work completed at Devil’s Lake improved critical habitat for dozens of rare and threatened wildlife species, including the timber rattlesnake, which overwinters on the rocky bluffs of the park. Photo by DZ Johnson. We are deeply appreciative of REI’s support for this project and look forward to partnering with them in the future!